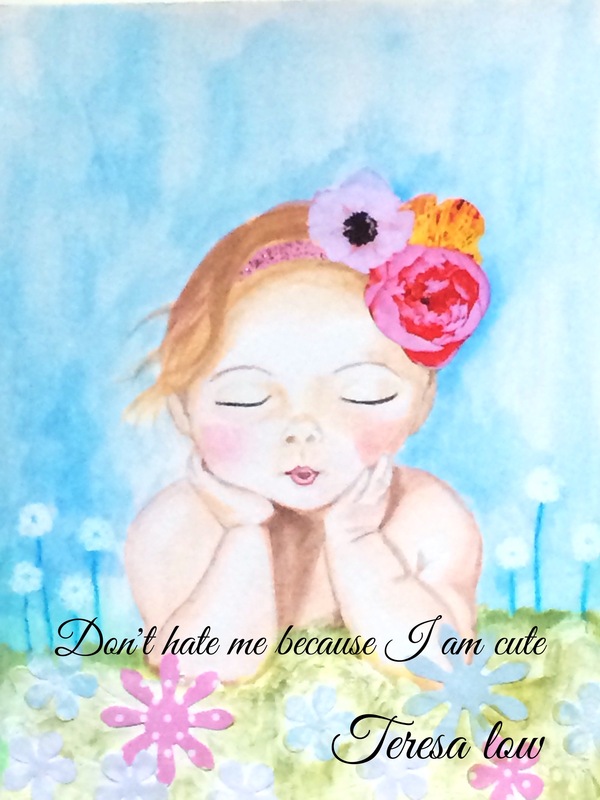 Don’t hate me because I am cute.. I love babies. They are so cute and innocent and represents all things good and hopeful. We need that more than anything now… Really enjoyed painting this. Watercolor and collage for flowers (cuz I don’t like painting flowers😉). Hope this brings you a smile. 😘 it did for me! Like my Facebook art page if you’d like to connect.